Sorry. Haven't posted in awhile. Been very busy, and then sicker than a dog the last few days. Don't worry, I'll be back in gear soon. 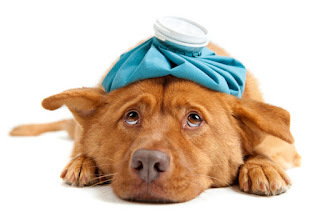 Speaking of being sicker than a dog, ever wonder where that term came from? I've done a little research, and as far as I can tell, the term dates back at least as far as the seventeenth century when dogs were not fed Purina puppy chow as today, but table scraps (if any) that were left on a plate. Therefore, dogs were a little like the modern day "Tom" or "Barn" cat, given a few morsels now and again but, more or less, left to fend for themselves. As most of you know, dogs will eat just about anything. If they eat something that does not agree with them, say a sun dried and partially decomposed armadillo, they will first attempt to soothe their wretching intestines with some grass, and then proceed to come in your house (usually at dinner time) take a seat next to the person most likely to sneak them scraps at the table, and vomit the old stanky armadillo up. In English circles, if someone is sick the way we think of it in America, they are said to feel "ill." But, if they are sick, in English terms, then it means they are, or have, vomited. So, if one said they were "Sick as a dog" or "Sicker than a dog" it meant that they were so sick that they vomited. Well, I haven't been THAT sick, but I have had a head cold or allergies, or something. Anyway, stick around. I'm just chuck-full of useless information about things you might not have ever thought about, or even been concerned about in your entire life.